Using a 529 Plan From Another State Or Your Home State? 529 plans are for college savings. Although contributions to a 529 plan aren’t deductible for federal income tax, the earnings are tax free when you take the money out for college expenses. 529 plans are sponsored by the states. Every state has a plan; some states have multiple plans. The investment options are different in each plan. When you set up a 529 plan account for a child, you first have to decide which state’s plan you are going to use. You are not limited to using a plan from your home state. My sister has a 529 plan account set up for my niece. I make a gift to her account every year. I live in California. My sister lives in New Jersey. My niece’s 529 plan account is with a plan sponsored by Ohio. You are also not limited to using a plan that you started with. If you already have a 529 plan account with one plan and you see a better plan elsewhere, you can move your account from one plan to another. Some states offer a tax benefit for contributing to a 529 plan. Some states don’t. Some states limit the tax benefit to only the in-state plans. Some states don’t have such restriction. What your state does is an important factor when you decide which 529 plan you should use for your child. Some states don’t have a state income tax. Therefore the state tax benefit question is moot. Some states don’t offer any tax benefit for contributing to a 529 plan. Some states offer a tax benefit but they don’t care which state’s plan you use. 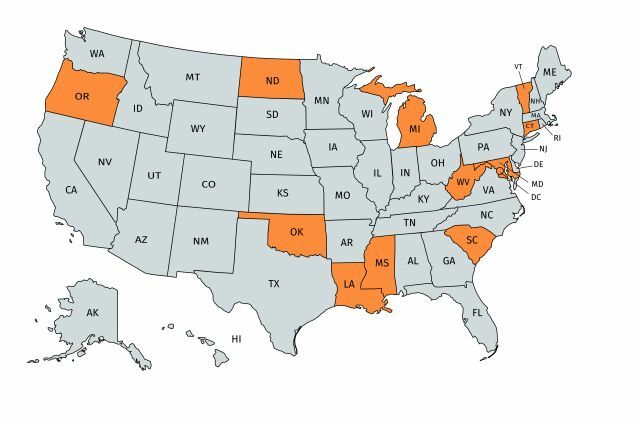 If you live in any of these states, you are free to choose a 529 plan sponsored by any state in the country. I call these states “go anywhere” states. Both California and New Jersey are “go anywhere” states. That’s why both my sister and I are free to choose any 529 plan in the country. If you live in these states, go ahead and start with a 529 plan from your home state for the state income tax benefit. Later if you think another plan elsewhere is better, you can move the account without losing the state income tax benefit you already received (in Oklahoma and Washington DC, only after satisfying the minimum stay requirement). 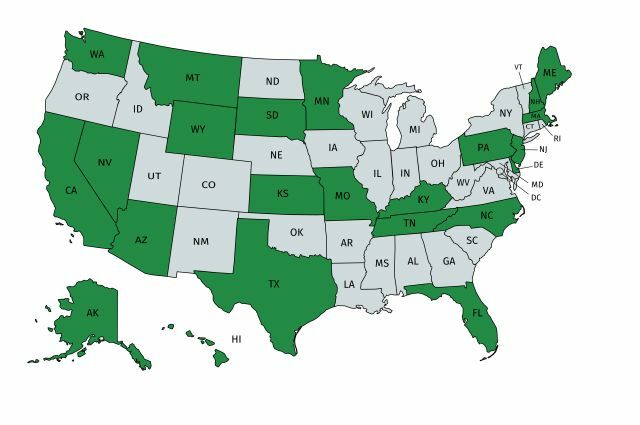 If live in the remaining 16 states, your state offers a state income tax benefit for contributing to a 529 plan, it limits the tax benefit to only its own plans, and if you move the money out, the state will claw back (“recapture”) the previous tax benefits. In such case, you may be better off staying with a plan sponsored by the home state. However, the tax benefit usually has an upper limit, for instance, on contributions up to a set amount in a year. If you are contributing more than the upper limit, the additional contributions can still go to a 529 plan of your choice elsewhere. You can have multiple 529 plan accounts for one child. If you see a better plan elsewhere, moving your 529 plan account from one plan to another is quite simple. I did such a move before. See Rollover a 529 Account From One Plan To Another. Before you choose a 529 plan from another state or move your 529 plan account, find out (a) whether your state offers tax benefits, (b) whether it limits the tax benefits to a plan sponsored by itself, and (c) whether it claws back the benefits if you move the money out to a plan from another state. The maps here are based on my own research to the best I can. They may not be 100% accurate. State laws can and do change. Please always double-check with your state’s tax authorities. I live in a “deduct and run” state. What happens when I move to a no state tax place and my federal tax bracket is zero and I make a nonqualified withdrawal? Just pay the 10% penalty for the earnings portion? Yes just the 10% penalty on the earnings portion. If you do a partial withdrawal, it’s considered proportionally part principal part earnings. Since I’m a retiree with no kids needing college, I’m behind on understanding 529. Are you suggesting that since I live in WA, I can put aside money in my own name as “student” but NOT use the money for college, and instead send it “anywhere”. i.e. have it behave similar to an IRA, growing taxfree? not quite sure I know what you mean about sending it “anywhere”? Thanks for clarifying. No I’m not suggesting that. 529 plan is for higher education. It can be for your kids, your grandkids, or yourself if you aspire to get an MBA or Ph.D. for example. The next sentence after “anywhere” explains what it means. If you don’t like your own state’s 529 plan you can send the money to a 529 plan sponsored by a different state. If you don’t need a 529 plan period, then obviously you don’t need it whether in your own state or anywhere. I combined all 4 of those, and just last week got my Merrill Edge Bonus. YAY. And now get 2.6% cashback on ALL purchases. That was an amazing construct you put together. Good idea. Worked. Thanks. I have a Michigan account and it’s listed as ‘deduct and run’. The maximum I can deduct on taxes is $10,000/year. But, it’s calculated by contributions less withdrawals. So if I put the $10,000 in and move it elsewhere, I get $0 left to deduct. They may not go back and recapture the deduction, but unless you are no longer contributing, I don’t think this will work. Am I missing something? If you normally contribute less than the max $10k a year, bunching would work. For example contribute $10k in years 1-3 and do the rollover in the 4th year. If the netting is done per kid, rotating between multiple kids can also work. Contribute $10k to kid 1’s account, do the rollover in kid 2’s account, next year reverse. I see it can be a problem if you contribute the max $10k every year and you have only one kid. If you over contribute to your kid’s fund (ie their college expenses end up being less than what you’ve built up), what options do I have? From what I’ve read, you can (1) designate the account to another child or grandchild (2) withdraw the leftovers and have the state tax savings recaptured (3) send it all to the school, and have your kid “waste” the money on extra campus food/equipment…etc. Am I missing anything else here? John – Thank you. That puts Montana on the first map. I will update it shortly. Is this list of states that do not recapture taxes still accurate ?